Maybe it’s because I happen to love cookies, but I have found more terrific cookie recipes printed on the side of food packages than any other type of recipe. My very first post on this blog featured a cookie recipe (the classic Toll House chocolate chip recipe) – since then I’ve posted almost 20 more amidst all the other on-the-side “hidden gems” I’ve found out there. 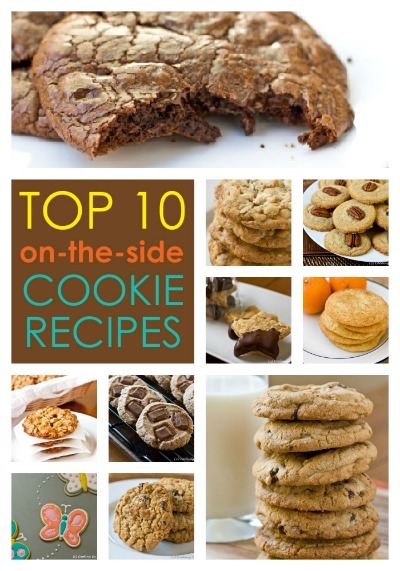 I’ve compiled my Top 10 Favorite On-the-Side Cookie Recipes (including a new one – Oatmeal Scotchies) for you today. Grab a glass of milk and enjoy! I’ve tried a lot of on-the-side chocolate chip cookie recipes over the years, but this one from the back of package of Barry Callebaut chocolate chunks is the best of them all, in my opinion. They’re thick and chewy and, since there’s no chilling required, you can bake them off right away (if you can stand to wait a few days, I still think the David Leite’s chocolate chip cookie recipe from the New York Times is the very best, next to my mom’s!). 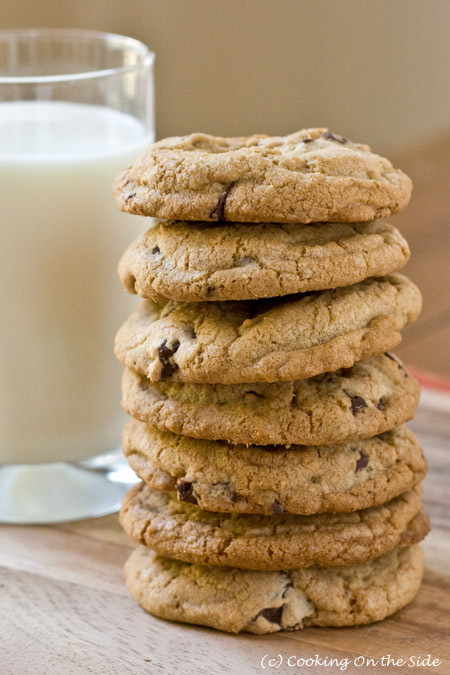 What makes a chocolate chip cookie chewy? 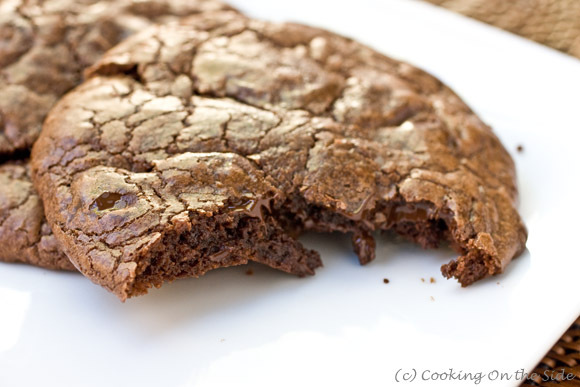 How can I make thicker cookies? Or thin and crisp cookies? Find out in this post! The recipe for these sandy-textured chocolate sablés comes from the legendary Jacques Pépin, printed on the Scharffen Berger Semisweet Baking Chunks package. 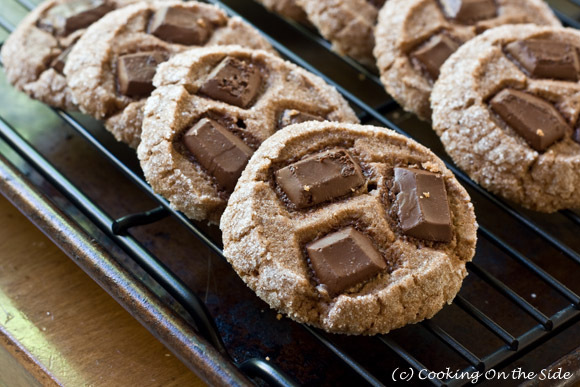 You roll the cookie dough in sugar before slicing and baking them, which treats each cookie to a sugary rim. 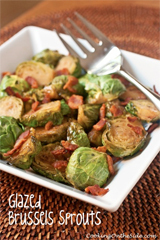 They melt in your mouth! If something tastes great with cinnamon and sugar, chances are it’ll make an excellent snickerdoodle. 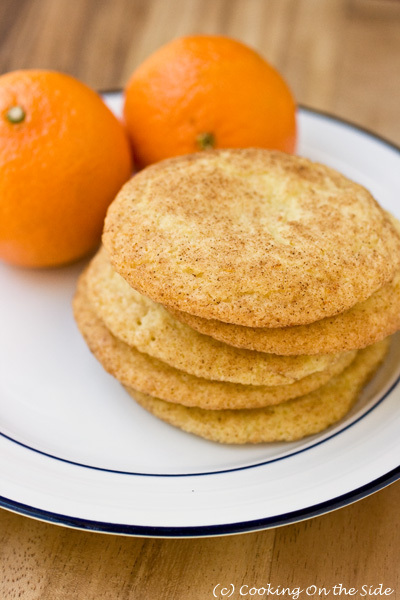 This was most definitely the case when I brought citrusy clementine zest and juice to the classic snickerdoodles recipe from the back of the Gold Medal Flour all-purpose flour package. 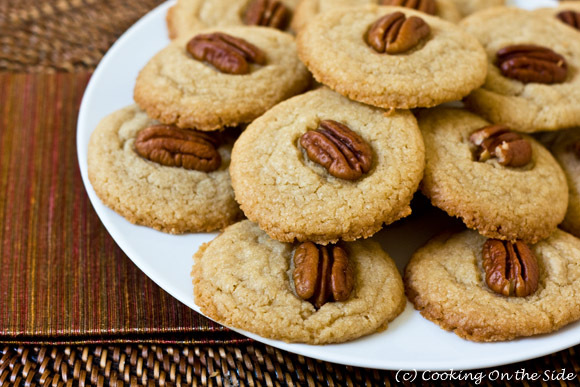 No eggs, no leavening agents – these cookies, from the back of the Ralph’s Pecan Halves package, owe their rich flavor and light texture largely to good ol’ butter and brown sugar, much like a traditional New Orleans praline. Here’s the latest addition to my stash of cookie jar-worthy on-the-side cookie recipes – chewy oatmeal cookies studded with sweet butterscotch chips. 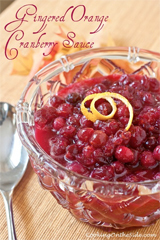 Get the recipe at the end of this post! 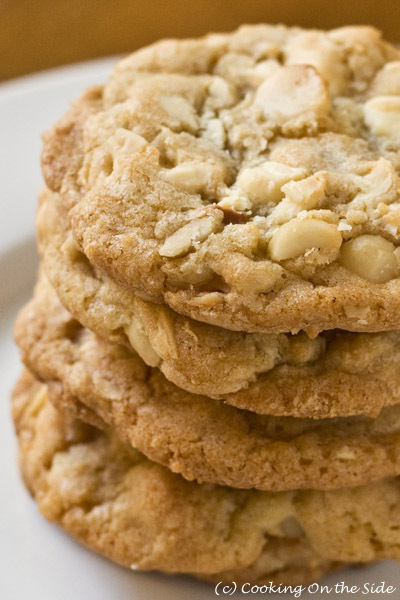 Today, White Chocolate Macadamia Cookies are a little retro. You don’t see them quite as often as you used to – but a great-tasting cookie never goes out of style. The cookies from this recipe, from the back of the Ghirardelli White Chips package, are just as yummy as my ten-year-old self remembers. 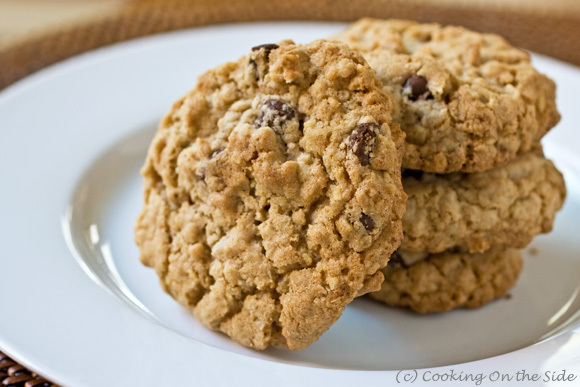 What makes these Chocolate Chip Oatmeal Cookies really stand out is their flavor. A dose of cinnamon and ginger in the recipe, from the back of the O Organics Chocolate Chips package, give a gentle hint of spice that works so phenomenally with the chocolate and the nutty oats. Until I sat down to decorate these sugar cookies I’d forgotten how relaxing and enjoyable punching shapes out of dough and creating little royal icing designs can be. 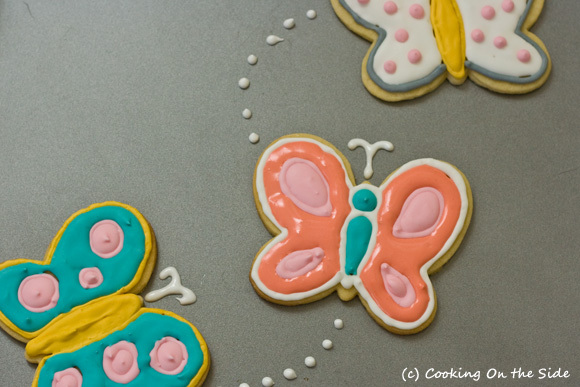 I found this basic, buttery sugar cookie recipe on the back of the Wilton Butterfly Comfort Grip Cutter package and settled in for a crafty afternoon. Shortbread is rich and sweet enough on its own, and this one with the toffee bits was no exception. But the chocolate makes it just a little bit more special – perfect for packaging as edible gifts. 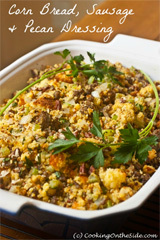 This recipe came from inside the Horizon Organic unsalted butter package. 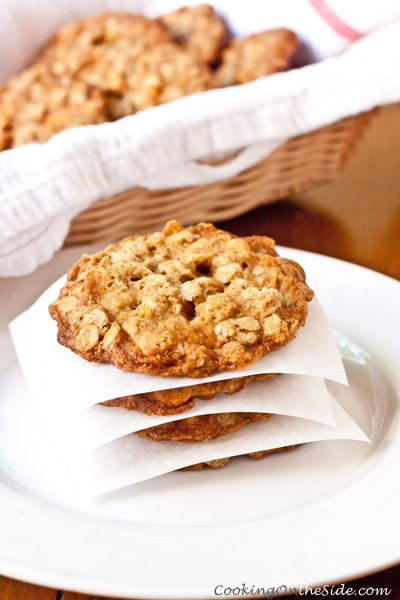 Oatmeal Scotchies are my all-time favorite from childhood. Haven’t had them in years… yum! It’s amazing what goodies you can find on the sides (or back!) of a package! Thanks for the fabulous cookie recipes! 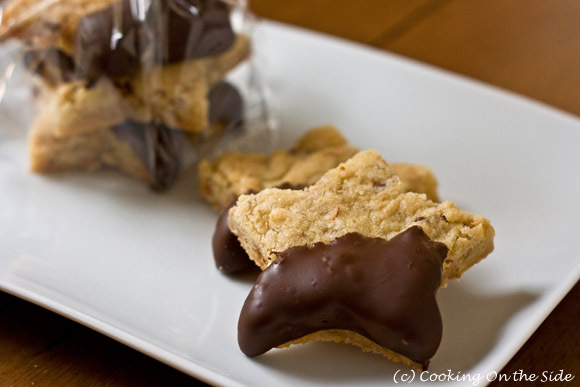 I love the texture of oaty cookies like, the Oatmeal Scotchies! This is making me crave cookies for breakfast–lots of them. 🙂 They all look so delicious! I now want all these cookies! Yum!